What Is The Difference Between Brazilian Blowouts and Keratin Treatments? I recently had the opportunity to go to a Brazilian Blowout class to become certified in doing them. I figured since I do them on a regular basis I might as well become certified. I will admit that I went into the class thinking that I already knew everything that they were going to tell me but the truth is that I actually learned a few things. One of the things that the educator told the class was that Brazilian Blowout is NOT a keratin treatment. 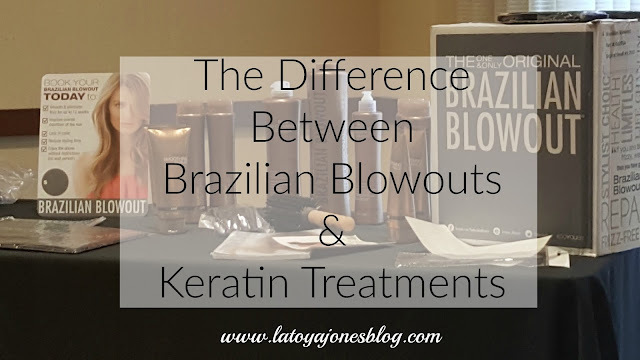 So, today I will be sharing the difference keratin treatments and Brazilian Blowouts. Previously, I thought that a Brazilian Blowout was a keratin treatment. Well according to them, they are not a keratin treatment, but instead they are amino acid based demi-permanent smoothing systems. Keratin treatments are keratin based. The amino acids are said to penetrate the hair and repair any damage from the inside which results in healthier hair on the outside as well. Keratin is a protein that also strengthens the hair as well. The Brazilian Blowout does not contain any formaldehyde and is said to last up to twelve weeks, or equivalent to three months. During this twelve week period, the hair is frizz free and naturally curly hair can be made straight. Once the twelve week period is over, the hair reverts back to its original state entirely. 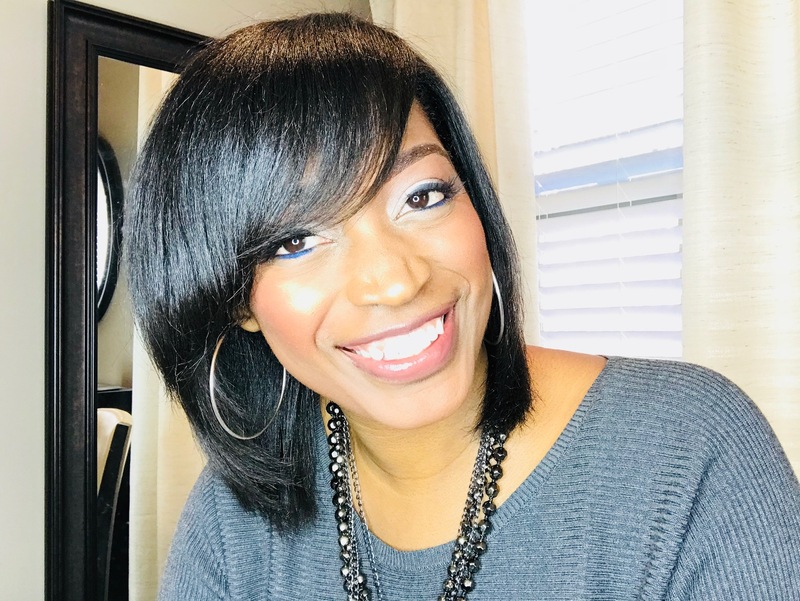 It is a great option for natural women that like to wear their hair straight but don't do it often because they say it does not last through work outs, humidity, or if they sweat in their scalp at night. Many keratin treatments contain formaldehyde which is what gets the hair straight AND makes the hair stay straight. That's right, many keratin treatments make the hair permanently straight! 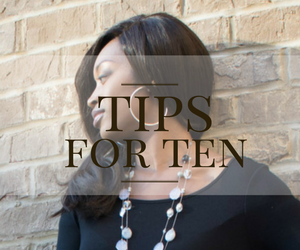 Also, with many keratin treatments, you can not shampoo your hair for at least three days after getting it. With the Brazilian Blowout you can. 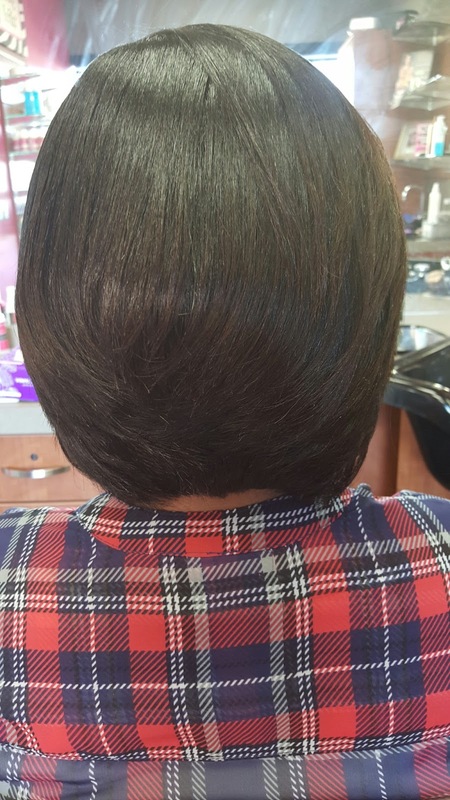 This client is on her second Brazilian Blowout. She was pleased that the first time she got it that it actually lasted the entire three months. During that time her hair was much more manageable, was frizz free, and it strengthened her hair. Many keratin based treatments contain formaldehyde which can be harmful and in many cases the hair does not revert back to its curly state. It also makes the hair extremely soft and silky. 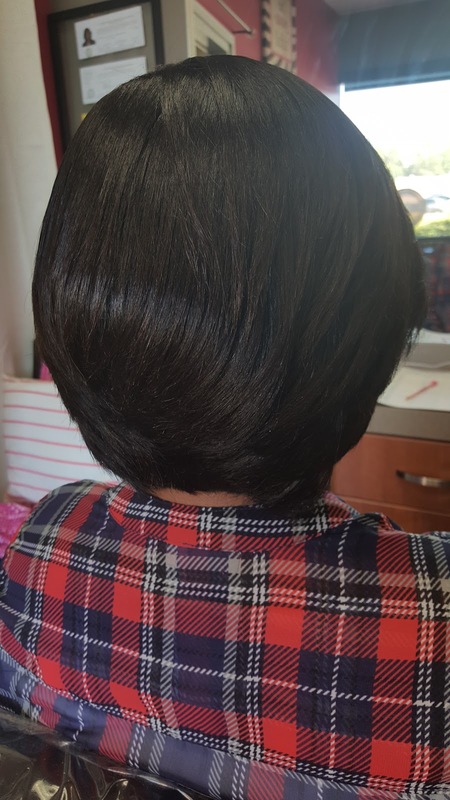 I do Brazilian Blowouts on many kids because the parents do not want them to have a relaxer but the kid wants straight hair. It is a win-win for both parties. Now for the million dollar question.. How much does this treatment cost? 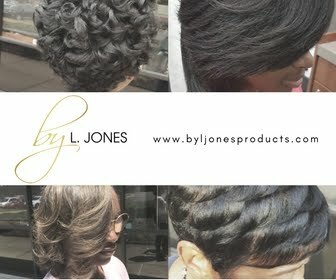 They start at $250 and the price can go up to as much as $350 depending on the length and/or thickness of the hair. That is only about 4-5 silk presses so it is definitely cheaper than getting a silk press every week or even every other week. Is it worth it? In my professional opinion I think it is simply because it is also strengthening your hair which makes each strand healthier and I am all about healthy hair. Also, relaxed clients can get it as well. I have had one on my own hair. 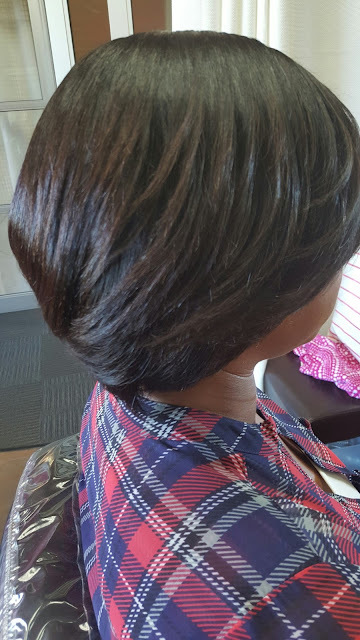 The benefits would be that you too would also benefit from zero frizz and from having a treatment done on your chemically relaxed hair. 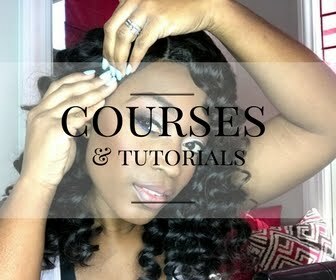 It will significantly strengthen relaxed hair making it stronger and reducing breakage. 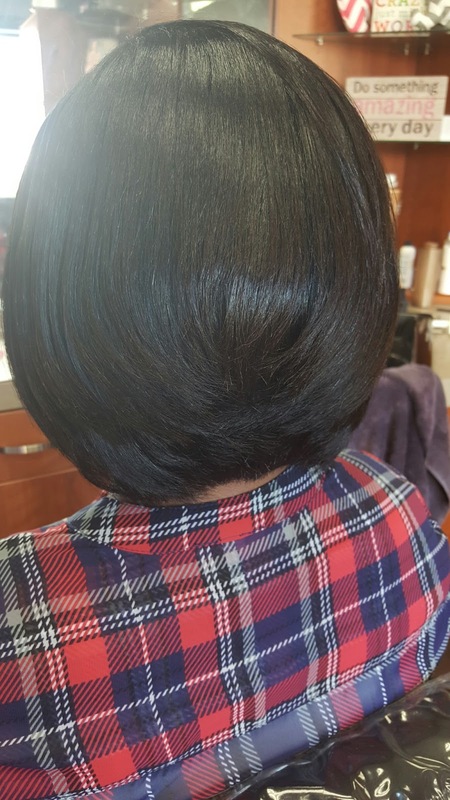 If you stretch your relaxers it will smooth out and straighten your new growth allowing you to only have to manage one texture. I have been using the Brazilian Blowout product for a long time and have never had a problem with it. I would definitely recommend this product to just about anyone. 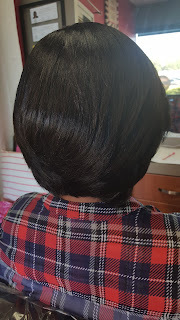 The only time you would not be able to get it is if your hair is extremely damaged and can not take the heat of the flat iron because you have to do 4-7 passes with each piece of hair. In that case you would need to treat your hair first and once it gets healthy enough you could get the Brazilian Blowout.